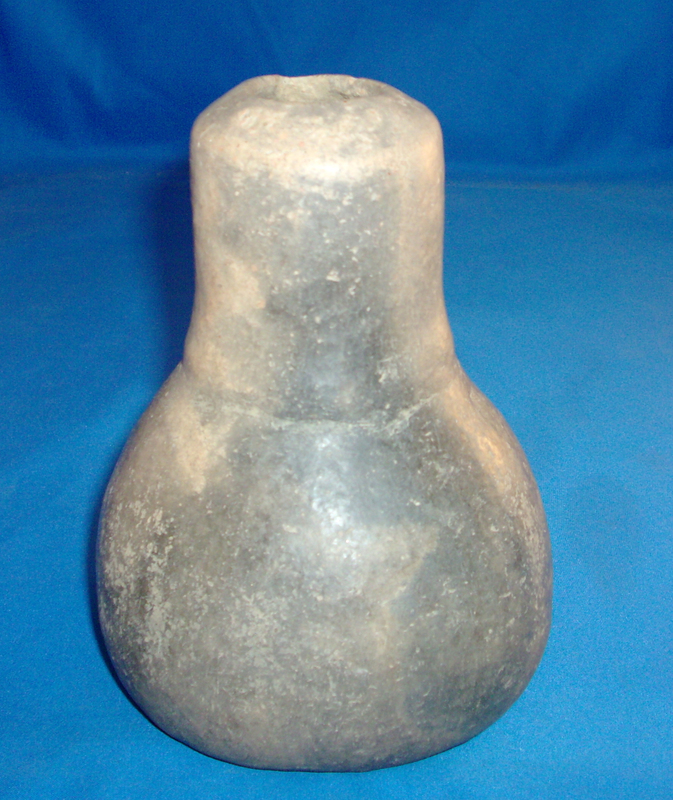 A Small To Medium Size, Unusual, Well Made, Caddo Seed Jar That Exhibits Surface Sheen And Clay Coloration Patination, Aged Bottom Use Wear, Correct Aged Open Pit Firing And Firemarks, Visible Aged Extended Ground Contact, Visible Stone Burnish Finish, Correct Type Material And Manufacture For The Area Found. Ex-Jack Bonds Collection. This Solid Condition, Rare Example, Is Unusual Having A Reduced Neck And A Body Made In The Form Of A Waterbottle, With A Rim Probe Nick! Includes A Ken Partain Certificate Of Authenticity!